At many organizations, Tableau opens the door for creativity that didn’t exist before. Often, it’s awesome because folks get to see and understand their data. However, sometimes, our marketing and communications department would probably prefer some major dashboard components stick to brand (I’m looking at you, five-years-ago self, and your rainbow dashboard … because who doesn’t love color). So, organized people that we are, when it comes to creating a dashboard, we set up a meeting with our communications team and get their sign-off on the color schemes and use of the company logo. We drop them on a dashboard, and we’d like to get everyone in the company to use this set-up. Previously, I’ve seen companies share this new “template” on a platform like Box or a shared drive, and then when folks go through Tableau training, they’re given access to this secret folder and can download it. I open the template workbook, build what I want, publish and press Save As. Now my template is no longer a template. 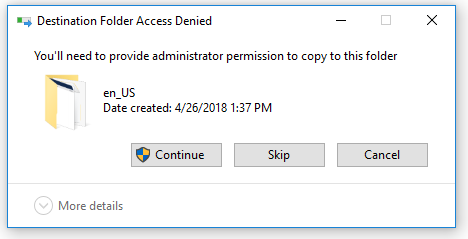 If I want to use it again, I then need to go back to my Shared Folder and re-download. Err … where did that file exist? Let me call someone and see if they can find it. Eh, I’m just going to mock something up really quick. I don’t want to go look for that template wherever it is. I’ll just start blank. What if I could make my template a sample workbook, so it would just always be available to everyone? 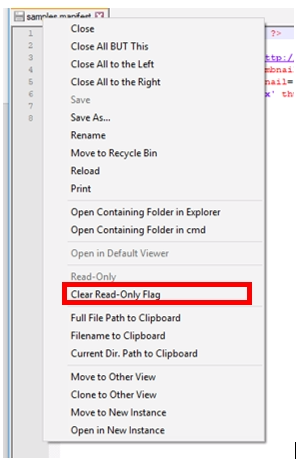 While anyone with Admin access to their computer can do this, if you want this to be default when anyone in your organization downloads Tableau and not have individuals manage it, you’ll need to work with your IT team to ensure the Program Files discussed in this post are customized for your template. Go ahead and click Continue and either use Admin credentials or contact your helpdesk. Make sure to keep them on the phone because you’re going to need them again in just a minute. All right, so we’ve added “Template. twbx” and “templatescreenshot.png” to our en_US Workbooks folder, but now we also need to edit the manifest file so Tableau knows to pull them in. If you’re asking, “What’s a manifest file? !”, check out Debbie Yu’s blog post where she answers that. No more chasing down that pesky template in shared drives. It’s there by default for me all the time. Comms team celebration! Across the organization, if your IT time can change this manifest file and add in this .twbx and .png to their standard Program Files in the installation package, everyone in your organization with Tableau will automatically have your template! The post Creating an Enterprise Template appeared first on InterWorks.